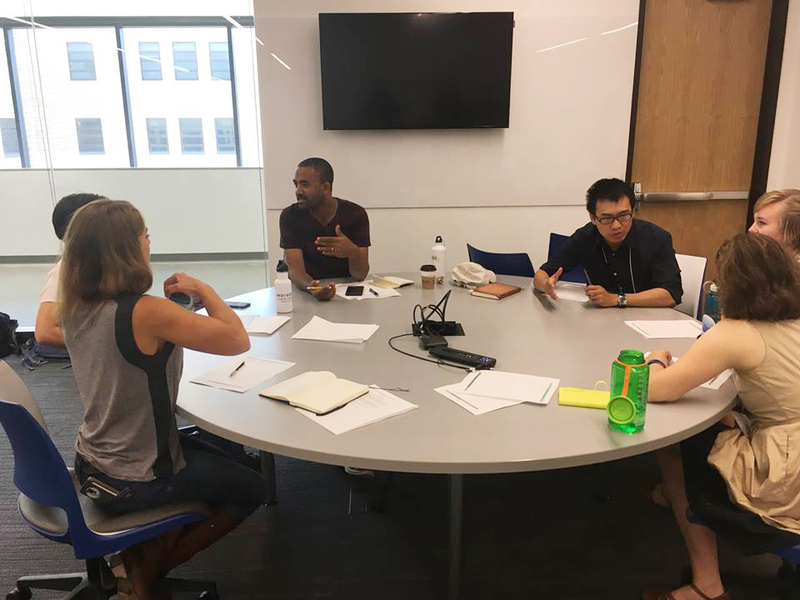 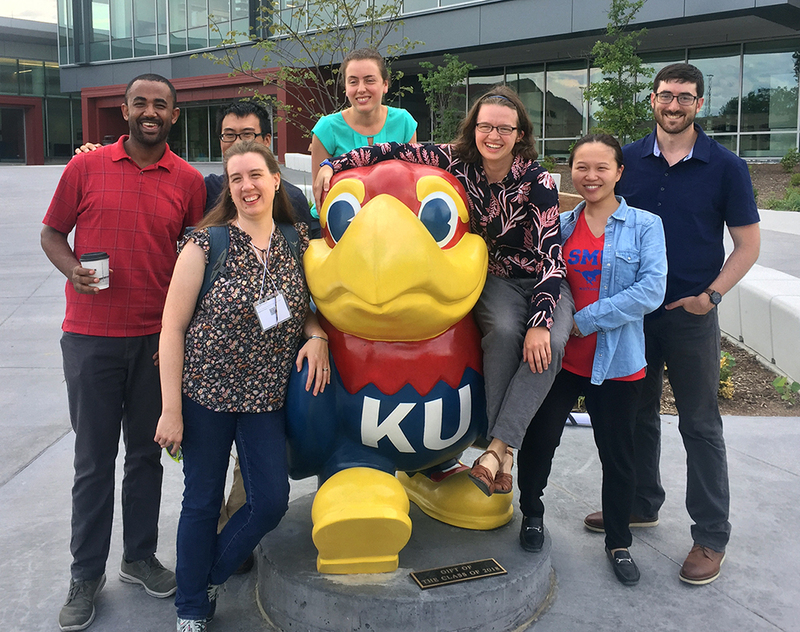 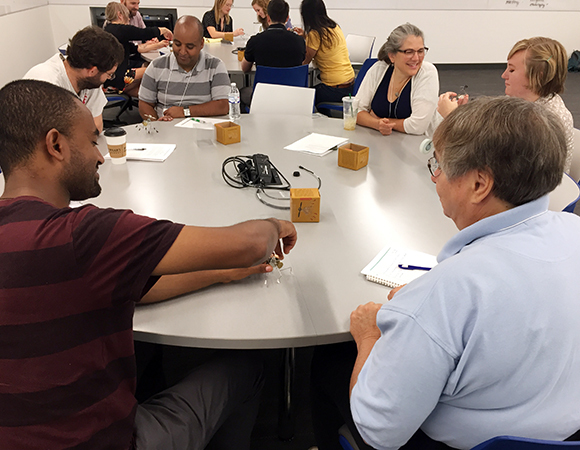 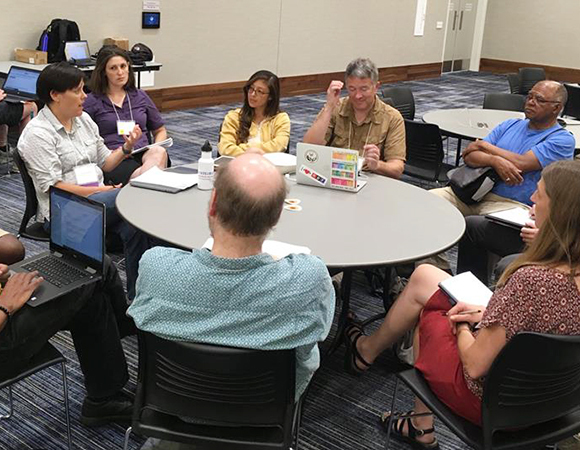 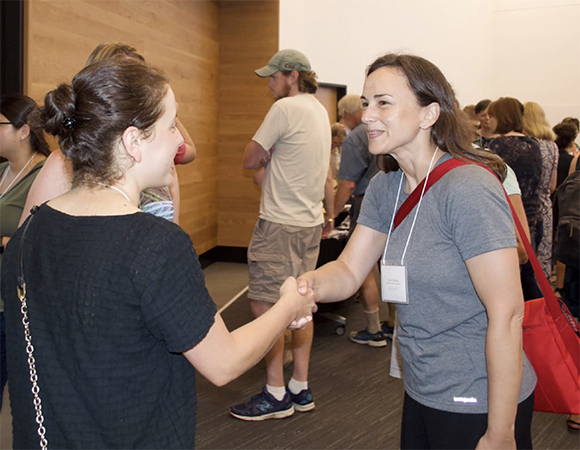 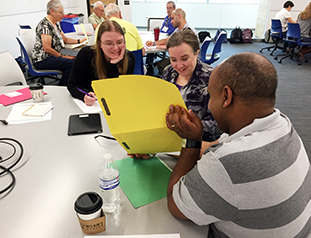 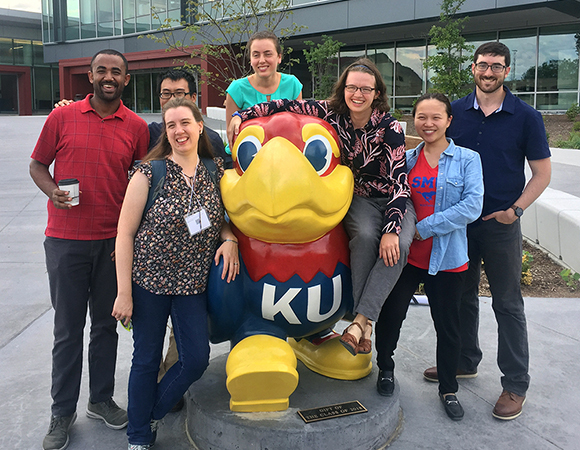 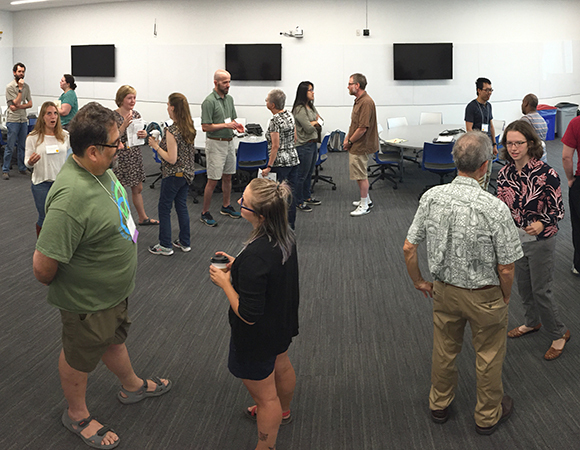 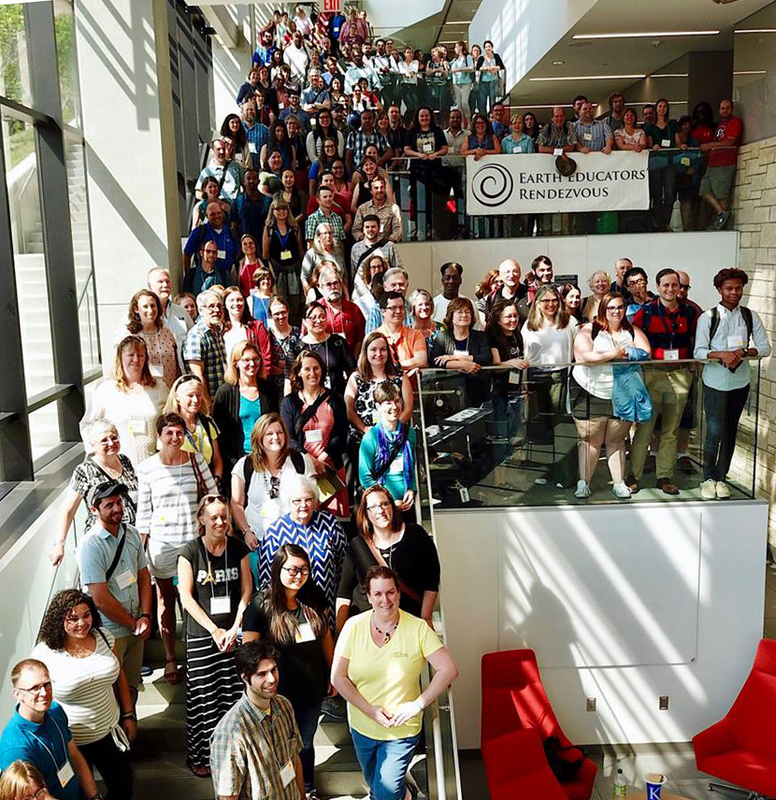 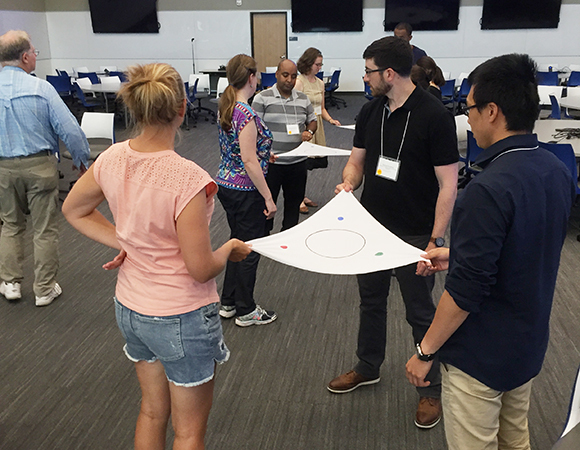 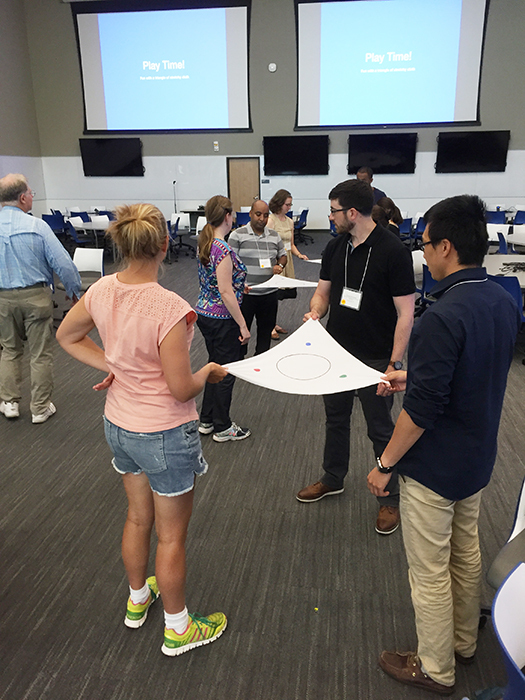 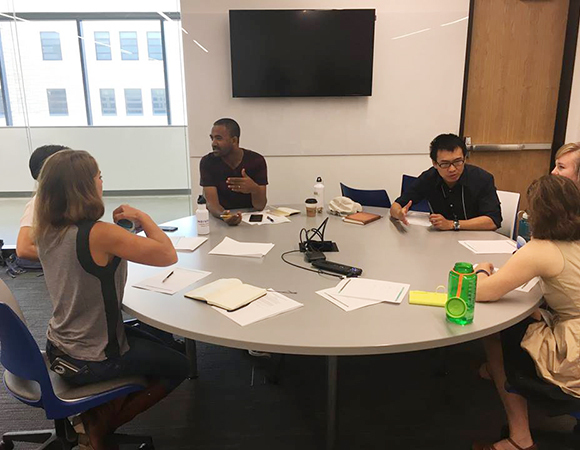 Eight graduate students attended the Earth Educators' Rendezvous (EER) at the University of Kansas 15 – 20 July, 2018 with support from the GAGE facility. 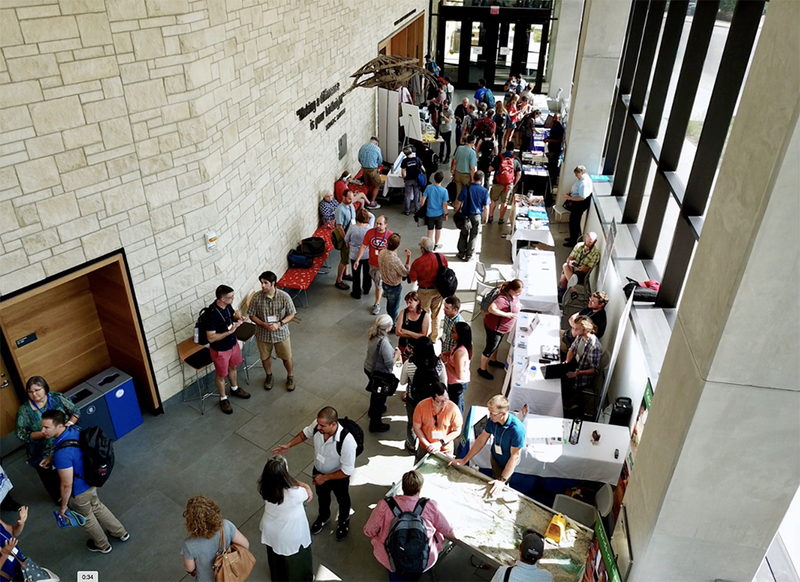 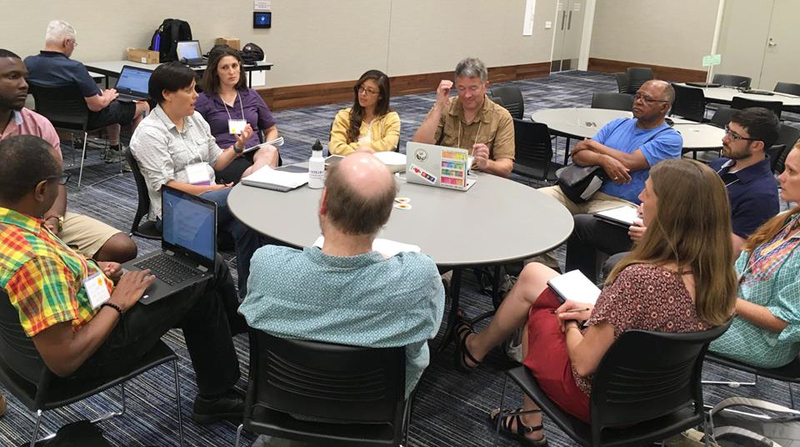 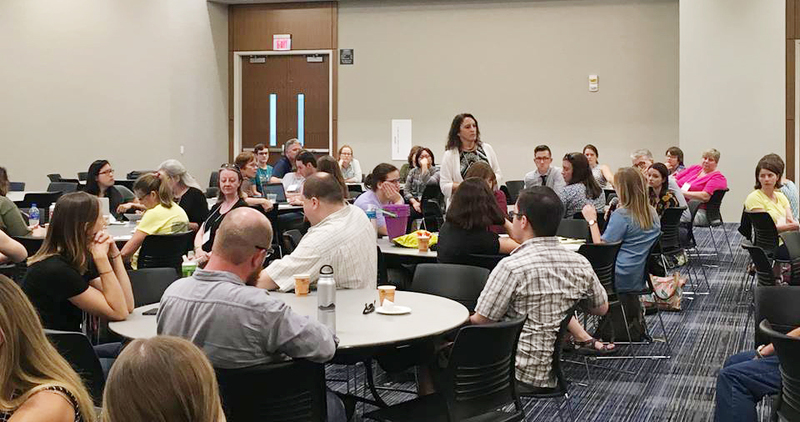 The EER is a conference sponsored by the National Association of Geoscience Teachers (NAGT) focused on supporting educators of all disciplines related to the earth, atmosphere and ocean. 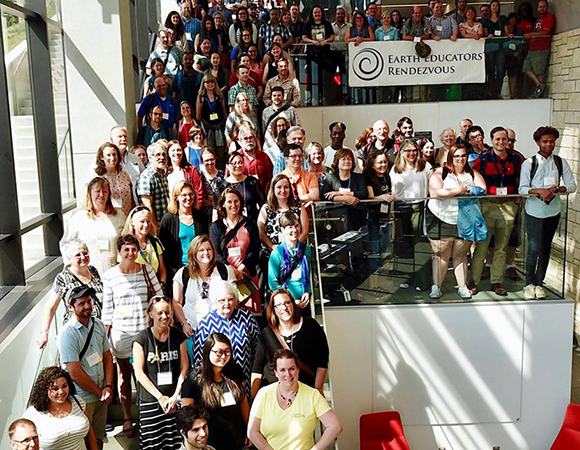 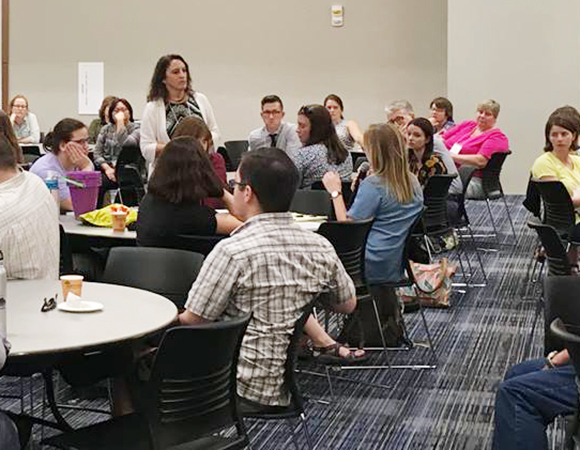 In it’s fourth year, the EER draws over 200 educators from universities, two-year colleges, and K-12 institutions. 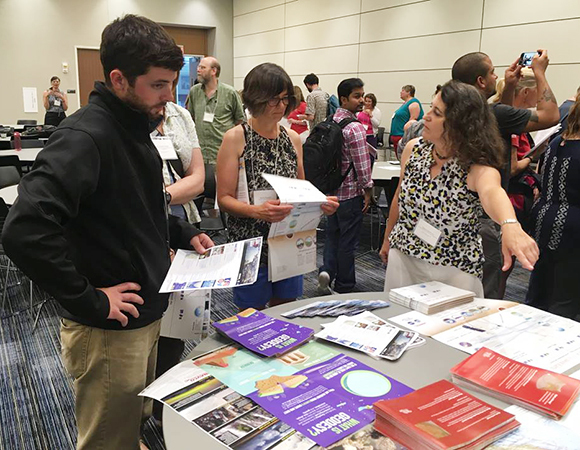 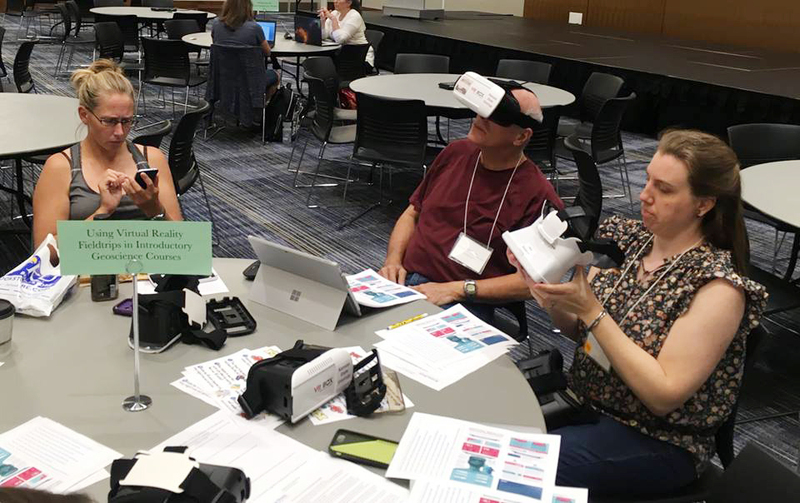 While some sessions include oral presentations similar to a scientific-focused conference, the structure of the EER program is designed to be interactive and participatory. 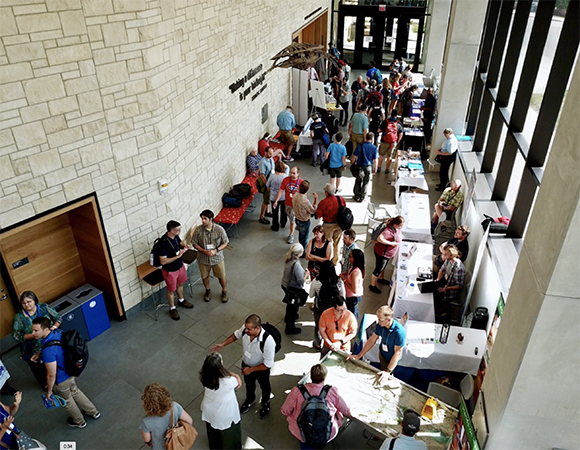 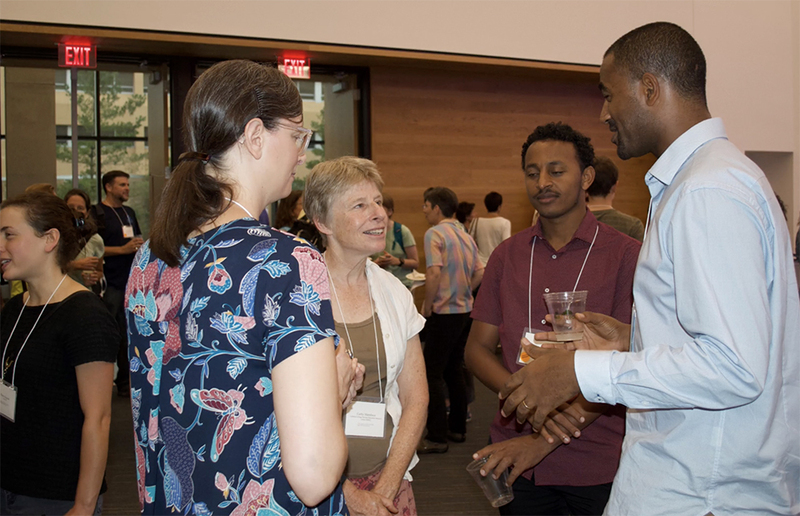 Participants engage in teaching demonstrations, round table discussions, a field trip, and poster sessions. 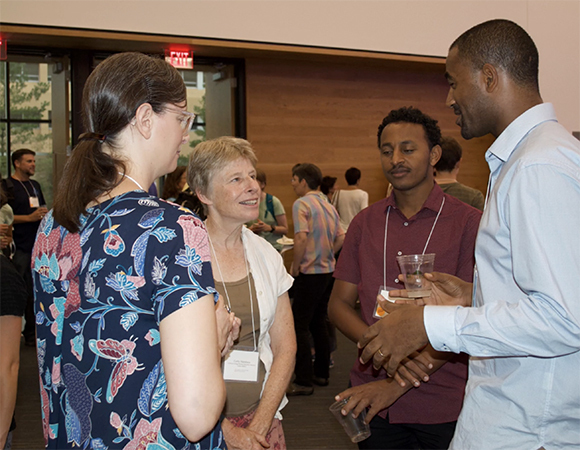 Dr. Beverly Wright, invited plenary speaker, addressed the attendees on Environmental Justice and Equity in the Face of Climate Change. 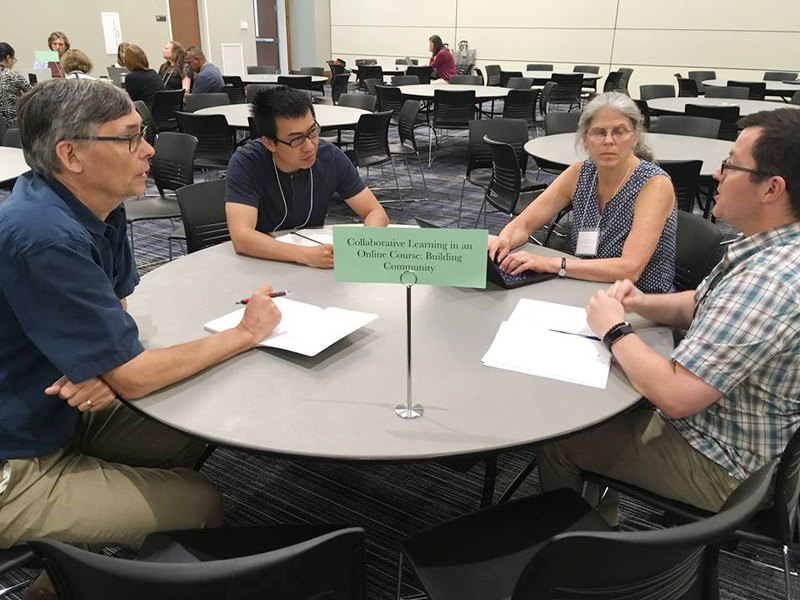 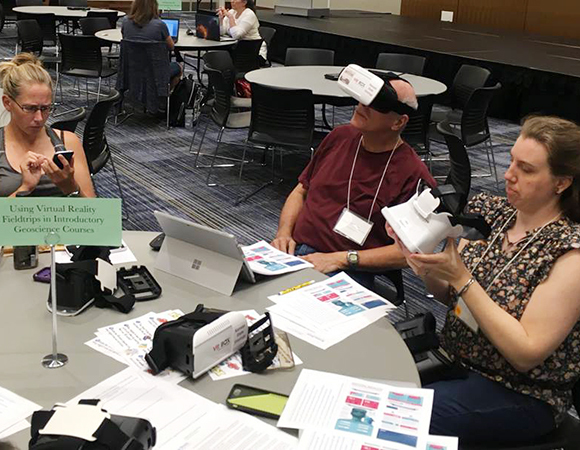 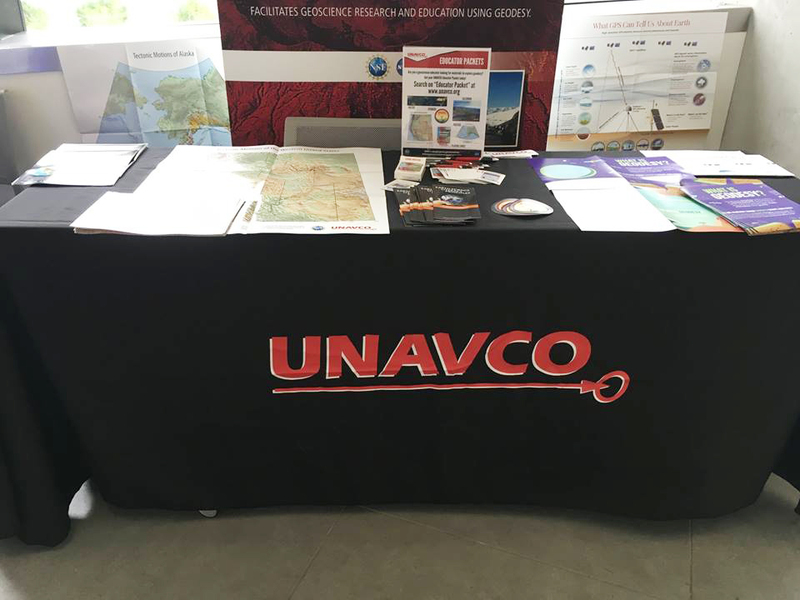 The EarthConnections project, co-led by UNAVCO, was featured throughout the EER. 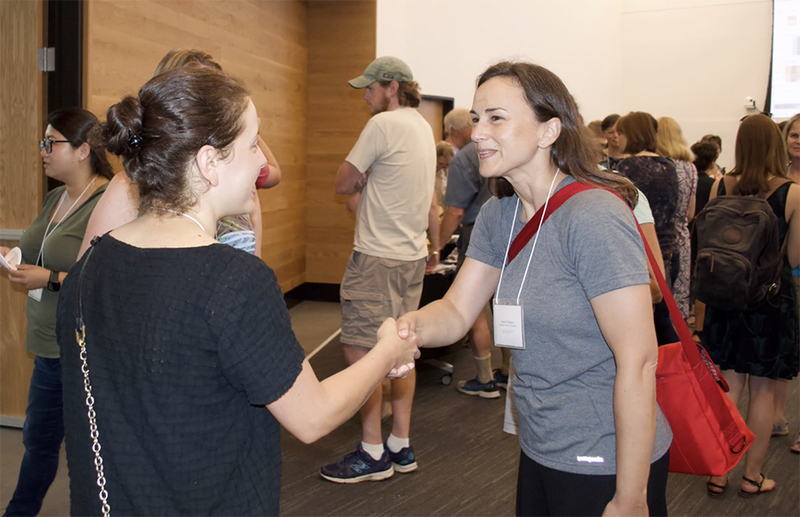 See the entire program online. 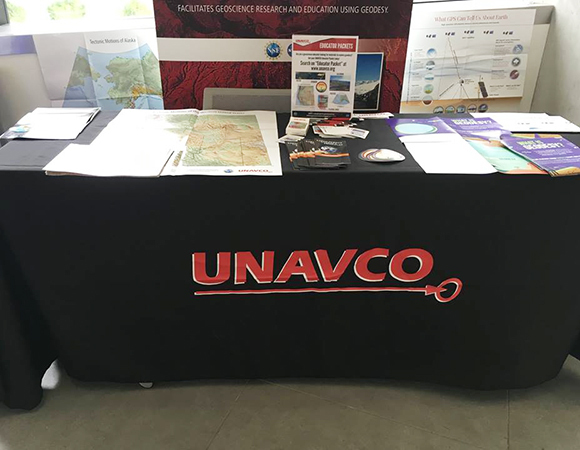 GAGE-supported participants attended sessions focused on communicating science and an introduction to the GETSI projects and resources, both featuring UNAVCO staff and/or materials. Supported participants also attended a pre-meeting webinar and a late-meeting dinner to build community among the early career educators.